There are numerous problems that property owners can face whether residential or commercial. However, one of the most serious problems that property owners can encounter is a foundation repair. At a home or business location, any problem concerning the foundation should be a major concern. In many cases, the reason for home or business foundation problems is a water leak. While many property owners know that water leaks can cause serious problems, there are a lot of property owners who do not realize how much damage can result from a water leak. In particular, a sub-slab leak. One of the main reasons why a slab water leak can create tremendous damage is that the leak can continue for an extended time period without being noticed. Generally the water leak can continue going unnoticed for such a long time that once the water damage is finally noticed, the damage is usually very serious. Regarding an under slab leak, a professional licensed plumber should be called as soon as possible to evaluate the water leak and the potential damage. Since the leak is underground and sometimes under a slab, plumbers have to sometimes dig or go through the slab to repair the water leak. This method of dealing with a foundation leak can cost a significant amount of money and result in damaging the property. 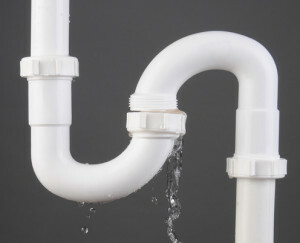 Another method that plumbers can use to fix a slab water leak is trenchless plumbing repair. A professional licensed plumber who is trained in the trenchless repair technique performs this method. This method utilizes technology to view areas underground and beneath slabs to determine the source, cause, and damage concerning the water leak. The plumber uses video and other related equipment to view the plumbing system to determine the location of the water leak along with the source of the leak. In addition, the foundation damage can be determined. The trenchless repair is a non-invasive method that is used to repair and restore underground pipes. Plumbers use structural and spray-in epoxy lining techniques regarding the process. The use of technology has changed the plumbing profession in many ways. As with many professions, technology has allowed new innovations to be developed that have improved current methods while bringing new methods to the profession. Trenchless plumbing repair is a newer innovation in the plumbing profession that has brought a different approach to solving a problem that many property owners have to deal with at some point, which is foundation repair. The use of trenchless repair can help property owners save thousands of dollars in repair and restoration service cost. While water leaks that occur under slabs can be a serious problem, plumbers have options available to solve the problem that were not around decades earlier. Technology currently allows professional plumbers to evaluate and repair water leaks in a manner that was unthinkable a generation ago. A water leak is a major concern no matter where the water leak is located in a home or business. However, water leaks that occur under a slab can cause significant problems. 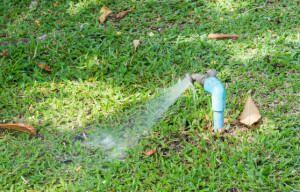 This is why these particular water leaks tend to take more effort and cost to repair. Foundation problems should always be addressed as soon as possible to determine the cause of the problem. In many cases, the reason for the damage can be traced back to a water leak. While water may seem harmless in a glass, water leaks in residential and commercial locations can result in very serious property damage.